Even though it's still another year before the film comes out, Harry Potter fans rejoice, because we have the first image from Fantastic Beasts And Where To Find Them . Yesssss! 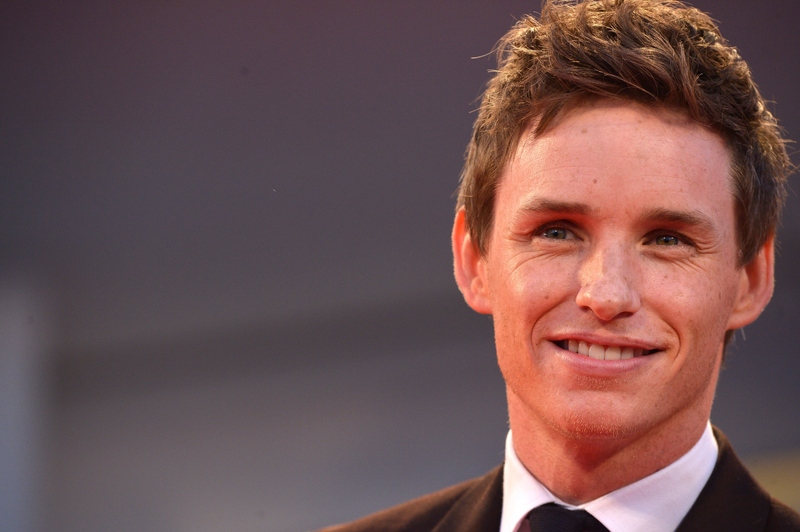 I hope I don't have to tell you this, because you've been as feverish in your anticipation of this movie as I have, but Fantastic Beasts is a prequel to the Harry Potter series, and stars Eddie Redmayne as Newt Scamander, the author of the Hogwarts textbook that the movie is named for. But, even though I perform an unceasing patrol of the internet in hopes of gleaning more details about this project, I haven't been able to get much else out of the lockbox that is J.K. Rowling and her team, other than that it takes place in 1926 New York. So, it's time to turn to my favorite of all pass times — speculation. This may only be one photo, from the cover of Entertainment Weekly, but you'd be amazed at all the information that I'm going to be able to squeeze out of it. Maybe there's some wizardry in me after all, and I should be expecting my Hogwarts owl any day now! Here's the image itself, and then the seven things it suggests to me about what we can all expect from the movie. Goldenrod on teal? Let me get a hell yes. It's a deserted hall, and the way Redmayne is balanced with his weight mostly on one foot suggests he's about to rush off somewhere. I told you guys, this is real detective work! At least partially! I mean look at all those layers! Or at least some version of that phone booth that lets you enter the Ministry of Magic, because that building he's standing in front of doesn't look at all familiar. Apparentl,y it's the Magical Congress of the United States of America, and it hides itself within the otherwise-Muggle Woolworth Building. Briefcase in the right, wand in the left. Probably doesn't mean anything, but worth noticing. Call me crazy, but are his cuffs a little too short and his boots a little too scuffed to suggest opulence? I think I'm onto something. And that's all I know — or at least think I know — for now. But, if we got this much out of a still image, just imagine how good we'll be at mining the first trailer for information! I can't wait.